In last week’s post I told you about this new “open” test we have been doing over at the Grey Horse Bot website. Since then we have had 9 winners and gained about 6 points if we took all the selections. The test is also to see if it is more profitable to “stop at a winner” rather than just keep betting on every selection. This is an interactive test based around one of our in house ratings and the morning and midday Betfair prices. We are calling it “interactive” because you can choose the ratings figure to base the selections around. I choose 220 and so far this month it has been far better to bet on every selection than it is to SAW. That may not be true of every figure which is why we wanted people to experiment. These are low priced and often (but not always) favourites. Using 220 is giving an overall strike rate of 52.26% and an average price of 1.34. We are doing a little better this month with an average strike rate of 56.52 but our average price is a little lower at 1.31. 270 is a good figure to go for if you want a better strike rate although 350 or above is better but it is hard to gauge how accurate they are because the amount of selections available in the results is quite low. So far anything under 190 hasn’t performed very well this month unless you switch to SAW and use a maximum daily loss strategy of 3. A loss strategy is important for SAW otherwise you can wipe out your profits very quickly on a losing run. …But my argument is that if my average winning odds is higher than the strike rate suggest then haven’t we found value? Ok maybe a little “tongue in cheek” and it is quite early days as far as this test is concerned. If you would like to take part then pop over to the Grey Horse Bot web site. Hopefully you had a good Christmas and hopefully you were on Nick Hardman's selections for the King George and the Welsh National. Who finished first and second. Emperor’s Choice won with an SP of 8/1. Onto today and a short post. We only have Newbury racing today in the UK with Southwell and Kelso lost to the weather. 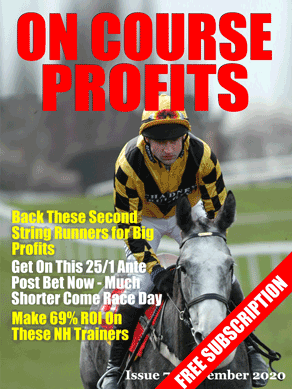 But two of our newest systems that have got off to a good start have selections at Newbury.